There are few things more unsettling in our daily lives than finding ourselves in a situation where we have to move suddenly. People lose jobs, get sick and circumstances change. When you find that you have to relocate with little notice it helps to have experienced, compassionate GTA movers assist you through a difficult process. There are situations where people realize that have made a mistake in relocation. It’s not uncommon for renters or new homeowners to move into a new place only to find there’s some kind of problem that they are unaware of. 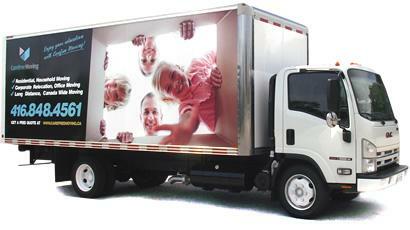 Our residential movers Toronto and GTA can relocate you, your family and possessions at a moment’s notice. Ideally, moving is the type of event that should be well planned and prepared for in advance. However, there are times when a sudden rush move eliminates the luxury of careful planning. Our residential movers Toronto and GTA have extra staff, equipment and vehicles on hand at all times in the event they are needed for a last minute or emergency move. We can help with all aspects of your rush move from tips on last minute packing to assisting with packing your belongings in sturdy containers. Our Toronto residential moving company are also able to provide transport for possessions that need disposal or that are being given away or sold to a third party. It’s very common for those in a rush to get stressed out and throw everything in a box without much thought to how much stuff they want to keep. There isn’t a lot of time during a last minute move to calmly sort through possessions. However, it is important to try to get rid of as many unnecessary items as possible when moving at the last minute. Streamlining your possessions can free you emotionally and save you a lot of money.